I love the 23rd Psalm, I really do. Always have. Or perhaps the fourth verse, “yea, though I walk through the valley of the shadow of death …” How many times have you heard that in a story or a movie? And always the King James Version of the Bible, right? Just try saying “I lack nothing” instead of “I shall not want” or “the darkest valley” instead of “the valley of the shadow of death.” It’s how we know it. And there’s the thing: how we know it. At a bible study the other day, I asked people why Psalm 23 was so important to them. The answers were things like how comforting it is, or the images of green pastures and still waters or the promise of God’s care when we’re in the valley or the understanding that it reassures us of God’s presence in all life’s situations or that we can look forward to dwelling “in the house of the Lord forever” when the time comes. All great – and true – answers. 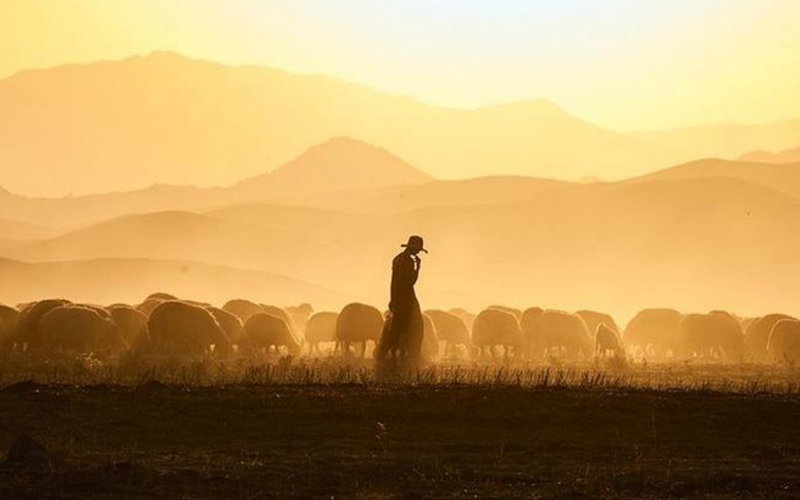 But, with all due respect to shepherds, sheep farmers and keepers of sheep, not one person said that they really identify with the image of God as a shepherd. When we talked about that, we began to realize that our understanding of God – and Jesus – as a shepherd came from what we have learned about shepherds in the ancient world of King David and, later, Jesus, information mostly imparted in sermons and bible studies. No one knew a shepherd. One person used to have sheep on their farm. But no one really knew what the life or responsibilities of a shepherd were like, especially long ago. That didn’t seem to lessen their appreciation and love for the psalm, but it opened a door on how we know God. The person who wrote this song of trust and assurance did so confident in their understanding of God’s constant presence, care and love when things are comfortable and safe as well as when they’re not, confident that God protects and gives in a way that leaves us wanting for nothing, confident that, in the end, we will be with God always. And the person who wrote this song framed that understanding with an image they knew personally and deeply, that was intimately a part of their identity in a way that there could be no mistaking the significance of the connection established by using it: a shepherd. But that was ancient times when the relationship between shepherd and flock was understood by everyone as a metaphor for kingship. And now? Who’s our “shepherd” now? Well, we wondered about that in the bible study the other day, too, and there were a few ideas. There were probably as many ideas as people there, in fact. And that’s just the point. I think this psalm was meant to be personal. It was meant to be more than a collection of images that affirm how God loves and cares for us. That’s easily said. This psalm says “like this” in a way that expresses the deepest trust that it is true. “The Lord is …” How would you begin?